Thanks to everyone for wishing me a happy birthday! Twilight Sparkle: Is that Queen Chrysalis? 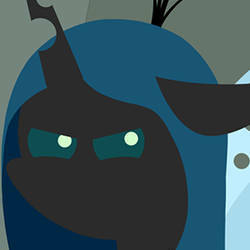 Chrysalis: Who the … do you think I am?